Last weekend I spent time in Lombardy, Northern Italy. My base was in Milan, which was handy as my plan had been to go to visit places that were north and south of the city. You may or may not know, dear reader, that I spent around 18 months in Milan a few years ago. It was when I had a medical copywriting job in an advertising agency over there, so I know the city well. I have fond memories, and left behind some cool friends. So I do like to get back there at least once a year - more if I could. So this was my trip for 2018. As with the previous trips I've been on it was a fun-packed weekend, and always hard to fit in everything I want to do, and visit all the folks and places I want to see. The first thing I did on my arrival, after picking up my hire car, was to set up my bike and take it for a quick spin around the city just to be sure that everything was working okay. 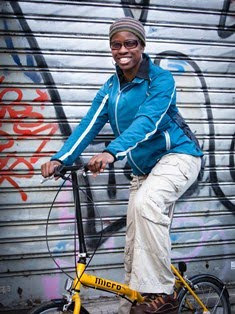 I have hired a nice road bike in the past from Biciclette Rossignoli in central Milan. I have also hired from a firm near Como. Both outfits supply very good quality bikes, though I chose to bring my trusty Boardman because I was not sure what my movements would be and I thought that the shops might be closed on the day that I wanted to return the hire bike. Having said that, I would certainly recommend a renting, particularly if you want to try out a Cinelli or a Pinarello bike which might be nicer than your own road bike! Being based in Rogoredo was convenient for me because it meant parking was not an issue, and I was close to the ring road (known as the Tangenziale) for when I wanted to leave the city. 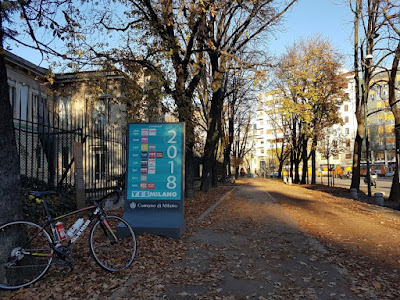 However, it meant that my bike ride would just be around fairly ordinary neighbourhoods that didn't go near tourist attractions or anywhere noteworthy. 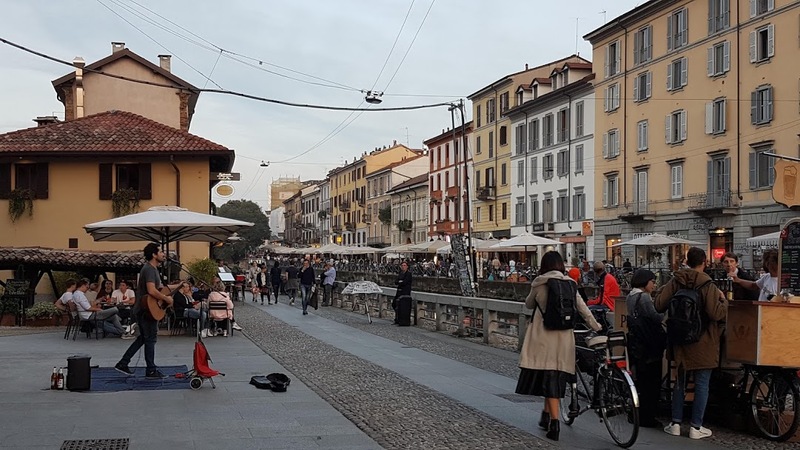 I think that once you're outside the small central zone of the Duomo, Castello Sforzesco, Brera, Colonne San Lorenzo, and the Navigli everything else is pretty drab. In fact, if you took a wrong turn you'd end up on a dirt track - apparently a road - called via dei Pestagalli which is quite a depressing sight, with disused industries and condemned buildings. I wouldn't recommend going there after dark! So my ride was a pretty quick spin through the city limits up to the Naviglio Pavese and then across some creative roadworks just to tickle the Naviglio Grande, before turning back to make it in time to meet Filippo, the landlord of the studio I'd be staying in. 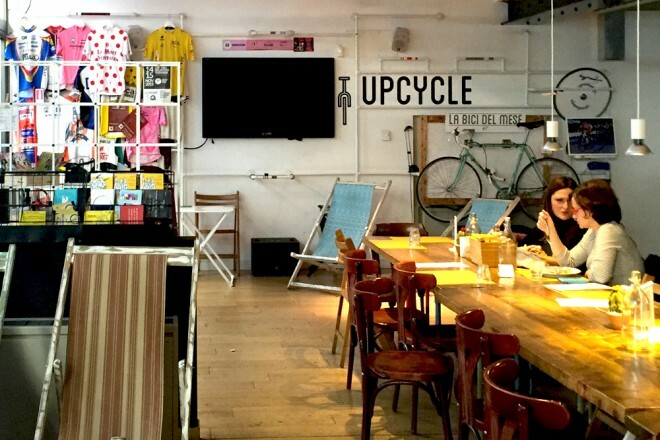 My evening was spent at Upcycle, a bicycle cafe that is basically Milan's answer to Look Mum No Hands! cafe on Old Street, London. Just as I went to the launch night of Look Mum Hands! back in 2010, I went to the opening night of Upcycle in 2013. Upcycle has very much the same feel as Look Mum. They are in similar kinds of areas - a little bit away from the centre of the city, but in up-and-coming hip neighbourhoods. Both venues frequently hold events about all aspects of cycling, and show major bike events on a big screen. The interiors are decorated with cycling-themed memorabilia, where you can have meals and snacks at rustic-style communal tables. Where Look Mum gives a nod to Belgian beers, Upcycle leans towards Scandinavian food. Look Mum has a bicycle workshop with mechanics, while Upcycle has a large space adjoining the cafe, used for holding events with conference-style audiences. So Upcycle is where I was on the Thursday night. A book launch took place that evening, and it was quite a big event for the people from Team Cassinis Cycling Team, the club I joined while I lived there. A member of the team, Martin Angioni, had just written a book called 98 Reasons Why I Cycle (Le 98 Ragioni per cui Vado in Bicicletta), so this was his big gig. Mario Cocco, the club president interviewed him on stage, and read excerpts from the book, while making jokes. I've gotta say I was pretty tired, after only having had a couple of hour's sleep the night before, and being my first day in Italy my Italian was very rusty to say the least! So I think I probably only caught half of what was being said - and that was partly because I did nod off at times. 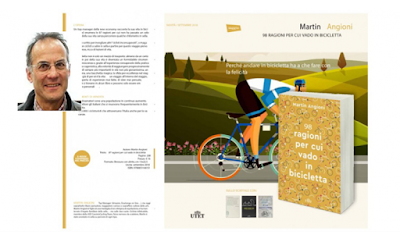 On this occasion, it was great to get there and see Barbara Bonori, who had been the women's cycling coordinator when I was in Team Cassinis, and who had organised the book launch, along with the publishers. She also organised a bike ride from the Vigorelli Velodrome up to Madonna del Ghisallo, which was due to take place a week later. Unfortunately I was not going to be in Milan for that. I also met a woman who is the European Marketing Manager for Cinelli bikes. They are based just outside Milan, and it would have been really nice to see them and check out their bikes. That is something that I will definitely be doing on my next trip. Then there were other familiar faces that I saw from the days when I rode with Cassinis, and I said a few words to them, including to Roberta and Massimo from Cicli Esposito. So, although it had been a long day for me, and a testing evening for me, from a stamina point of view for me, it had been a good day and I was very happy to have met the old guys. Hopefully, it won't be too long before I see them again, I can spend more time with them, and my Italian will just roll off the tongue - facilemente!